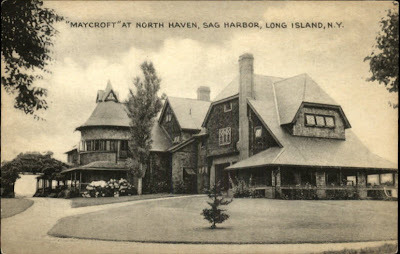 'Maycroft', the James Herman Aldrich estate designed by Edward D. Lindsey c. 1880 in Sag Harbor. Click HERE for more on 'Maycroft' and HERE for more on the redesign of the house. 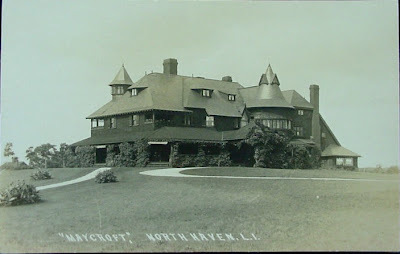 Click HERE to see 'Maycroft' on google earth and HERE on bing. What moronic architectural consultant states that "it would not be an architectural loss to lose the house"??? Preservation is not just about saving the one exemplary home representing a certain design style or period. Most historic districts are greater than the sum of their individual parts. 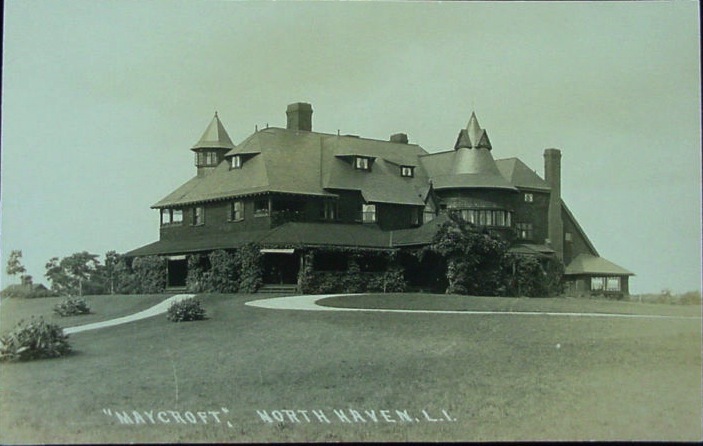 Your local history and fabric of your community is based upon saving such properties as Maycroft not by demolishing them because they dont meet somebodies lofty ideal. It just shows how easy it is to pay off some elitist architectural snob to concur with your decision. Developers do it all the time when arguing a property is "beyond repair" or "too costly to salvage". Luckily in this case, the owner was not intent on demolition, just major renovations. However, you could just see him petitioning the town for demolition based upon his "consultants" opinions. The consultant must work as the town historian for Old Westbury. LOL ancient I would take it "before or after" any day. Love the 2 story library and all that wonderful interior panelling everywhere. Gorgeous interiors. Great links.